The best part? She’s not just wearing clothes, she’s wearing memories! 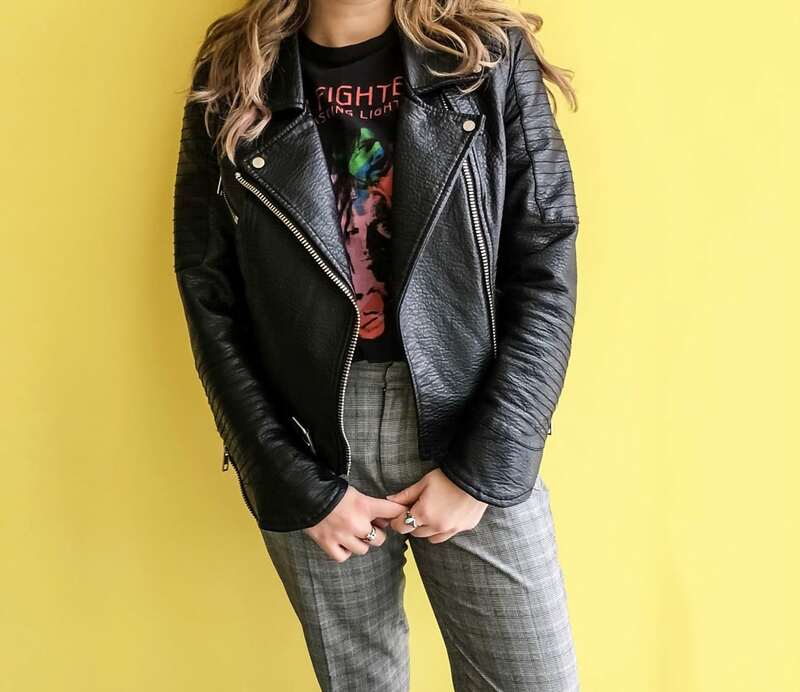 When asked about her high-top Vans she said, “they’ve gone to festivals, they’ve gone to concerts, [and] they’ve [even] gone across seas!” Needless to say, her outfit tells a story about her adventurous history. It’s rare for me to see someone rocking a leather jacket on campus. When I saw Caroline in hers, it was a refreshing change! It completely transformed her outfit and gave her an original edge. She got hers at TJ Maxx. 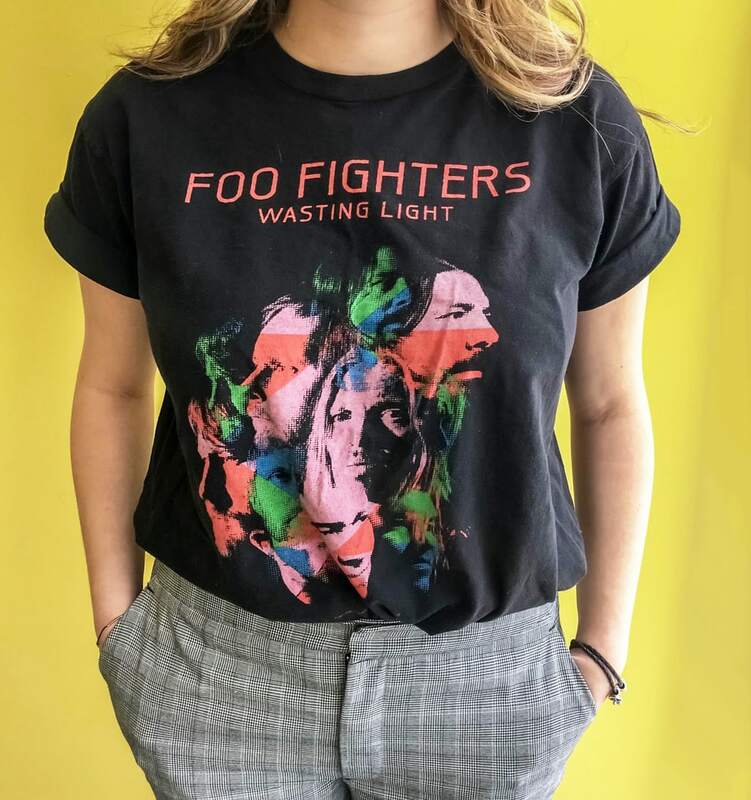 Caroline got this t-shirt at a Foo Fighters concert in 2011. Its neon pops of color bring her outfit to life! She gets to look stylish while supporting one of her all time favorite bands. Plus, this tee is cozy: “It’s so soft. I love it,” says Caroline. 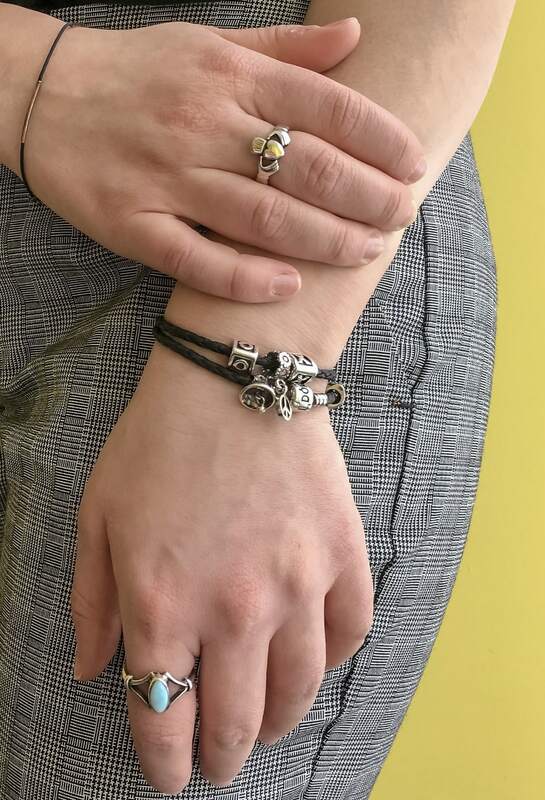 Caroline’s jewelry has found a permanent home on her hand and wrist. She wears her Irish Claddagh ring and a charm bracelet every single day. Her simple arm candy enhances her overall look without overshadowing it. Are you loving her edgy and original style? What’s the oldest piece in your closet? Let us know below!